Now that David’s Vacation Club Rentals is well into the excitement of assisting DVC Members (and guests too) with booking Disney Cruises, it was time for some of the Cruise Specialists in the office to do some research and experience the Disney Difference first hand! 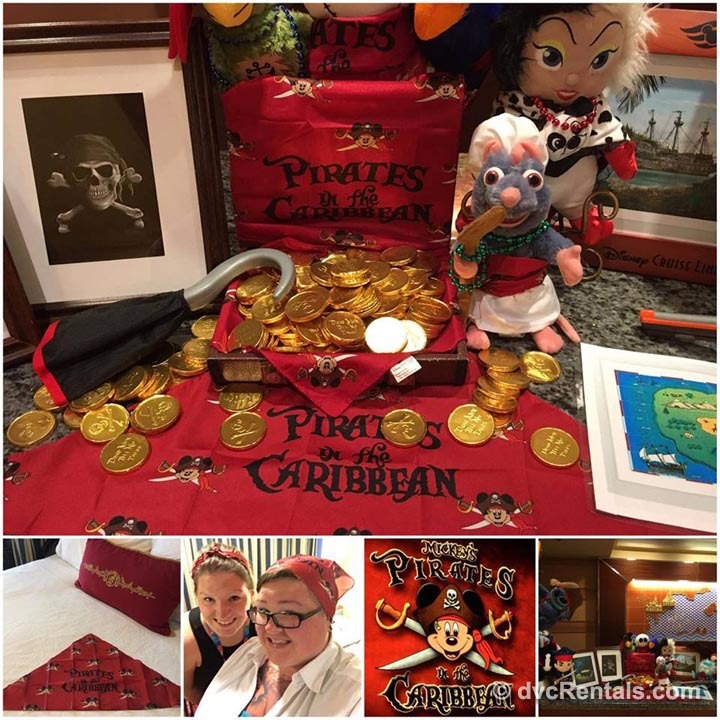 In April 2017, we (Lindsay and Judith from Team DVCR) got the opportunity of a lifetime to sail on the Disney Dream to the Bahamas, with Dave and Cathy as our travel partners and guides! Having both cruised on several other cruise lines in the past, we couldn’t wait to see and feel how Disney does things differently (and better)! Take a peek at our top 6 reasons below. Disney strives for the best in everything they do. Although some wouldn’t expect to find world class entertainment on a Cruise Ship, that is exactly what the Disney Cruise Line has delivered. 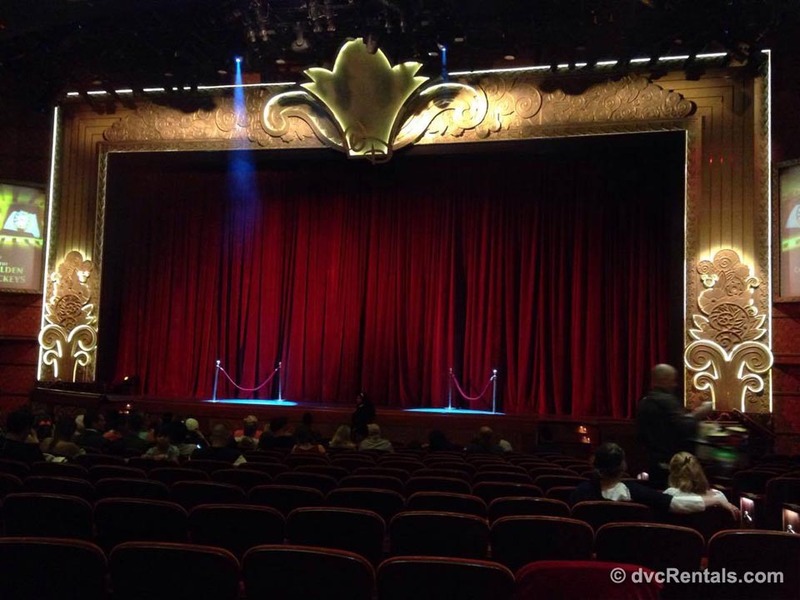 The live Broadway-style shows are incredible and although, we were not able to take any pictures of the actual performances, you will just have to take our word for it – they were amazing! Each night of our 3-night cruise featured a different show which played twice daily, opposite the two different rotational dining times. This way Disney can be sure each guest has an opportunity to catch the show without missing their dinner reservation. The shows were all energetic, emotional, filled with incredible talent and Disney Magic. Disney is the best at appealing to the kid in all of us and each night, new and old Disney fans were treated to a combination of classic and new characters interacting on stage. 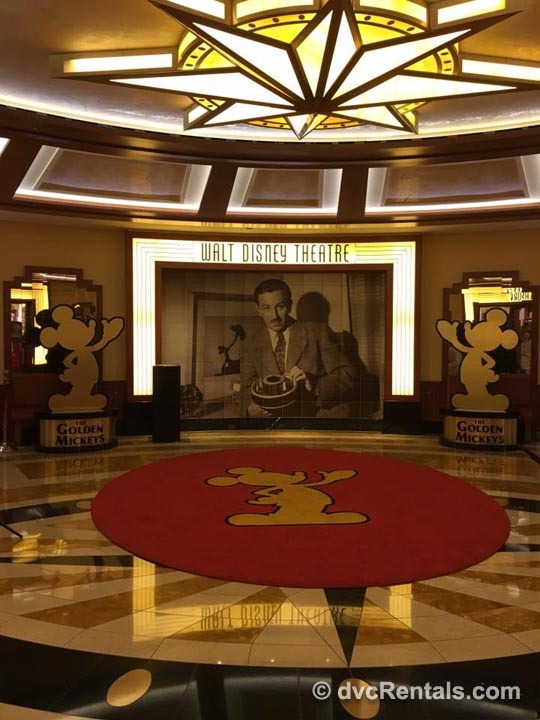 On the first night of our cruise we got to see “The Golden Mickey’s” an award show that celebrated the best of the best in some of our favourite Disney films. This was our favourite performance of the cruise and got us really excited for what each night would bring. On the second night of our cruise the show centered around Hades, the god of the Underworld and incorporated everyone’s favourite villains. This show was funny and the audience was encouraged to get loud and even boo whenever a new villain came up on stage. On our last night, we saw Believe and it was the perfect way to end off our cruise. At the beginning of each performance our Cruise Director, Trent, would come out on stage and get the crowd excited for the show, while also relaying any important information about the next day’s activities. Overall, these shows were a highlight for our cruise and if you are going on a Disney Cruise anytime soon we would highly recommend carving out some time in your day, you won’t regret it. We constantly encounter the phrase “The Disney Difference” and on the Disney Dream that difference begins with the amazing Cast Members. Some very memorable moments for us include, stepping onto the ship for the first time to rows of cast members clapping and welcoming families. There was already so much excitement but this just added a personalized touch that made a great first impression. From there on we encountered nothing but friendly and very helpful service for the duration of the cruise. Our room attendant came to our room on the first day to introduce himself and let us know that he was available if we needed anything at all. 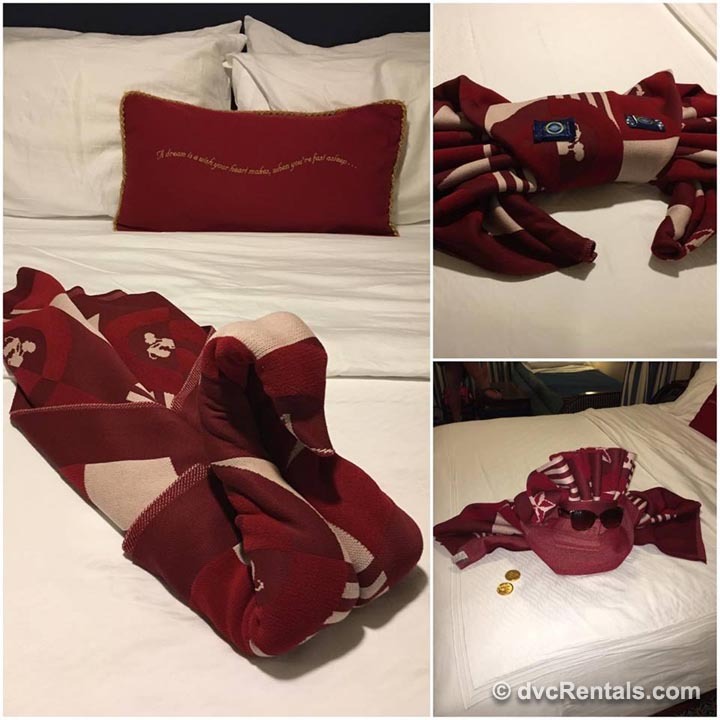 Each night our room was turned down and there was a fun towel animal on the bed usually accompanied by chocolate or on the Night of the Pirate party, a Mickey bandana. Even though there are thousands of guests on a Disney cruise ship at any time Disney cast members have a knack for remembering little details that make you feel so special. Castaway Cay was by far one of the parts of the cruise that we were most looking forward to. As people who have cruised in the past with multiple different cruise lines this was a whole new experience for us. 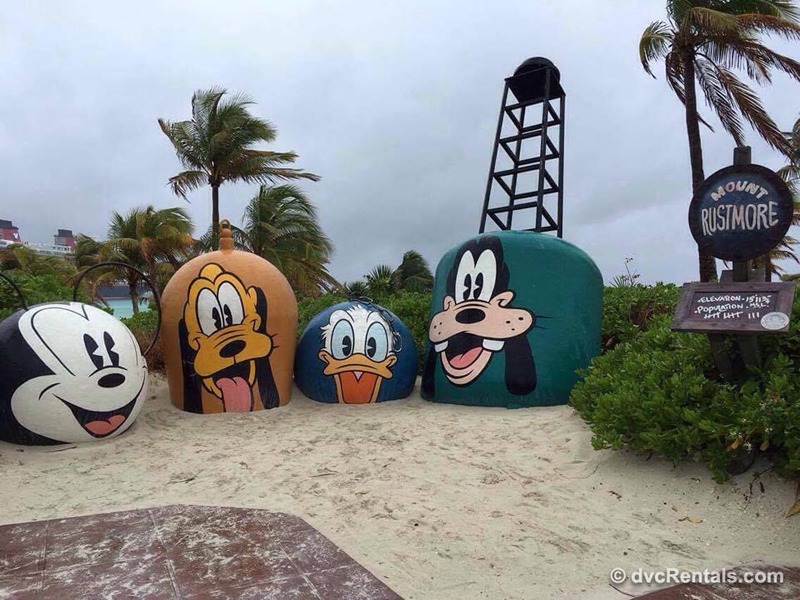 Disney’s Private island is filled with so many different activities for the entire family. You can lounge by the beach all day and come noon indulge in a delicious barbeque lunch that is available to all guests. If you are travelling without children and would like a more relaxing atmosphere there is an adult only beach called Serenity Bay that guests can access via the island trams that run constantly. Disney also offers different excursions that can be booked ahead of time and for an additional fee. These include, snorkelling, beach side massages, renting out a private cabana, as well as an array of different water sports. 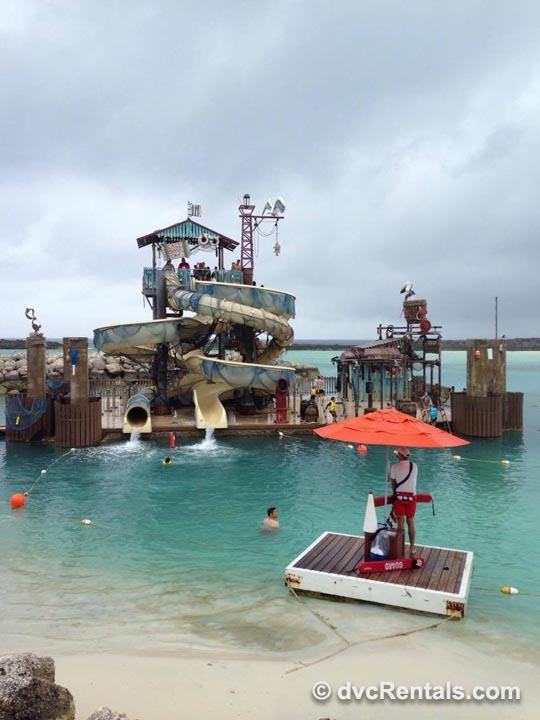 Unfortunately, as you may be able to tell from the photos it wasn’t the best weather for our day on Castaway Cay. 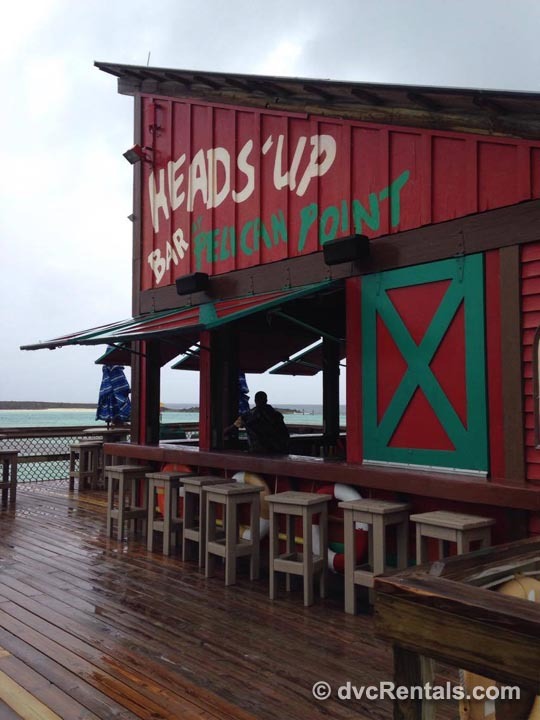 However, we definitely made the most of it and despite the rain we can certainly see why Castaway Cay is a highlight for many guests when cruising on The Dream. 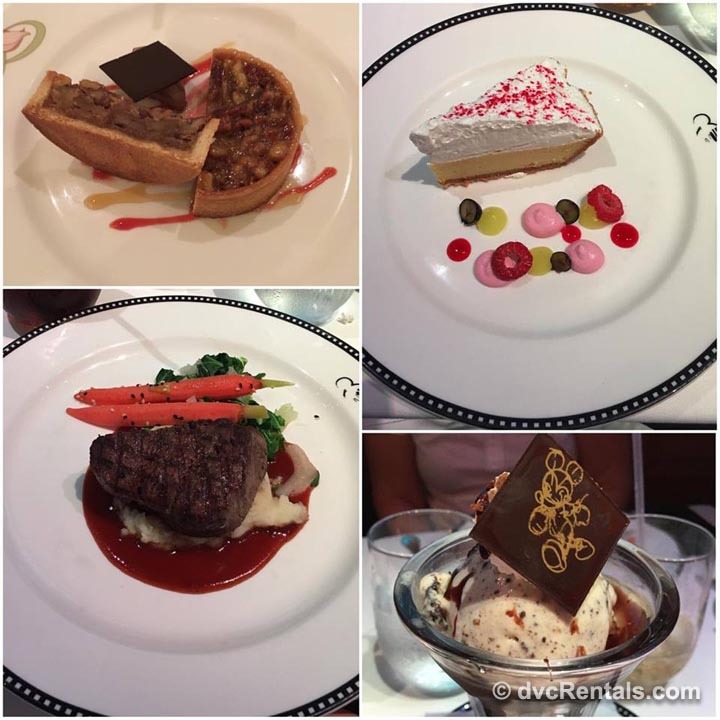 Dining aboard the Disney Dream was an amazing experience. Unlike any cruise line either of us has sailed with, Disney offers 3 main dining rooms on their ships, and each guest is assigned a rotation during their cruise. Our dining rotation had us eating our first meal in Animator’s Palate, followed by Enchanted Gardens, and then finishing off our sailing with at Royal Palace. Your wait staff rotates with you, which was a really awesome touch. The two dining time options allow you to choose from Main Seating (with service at 5:15pm) and Second Seating (with service at 8:15pm); we chose Second Seating, and we loved it! As we sat down to dinner on night one, our waiter, Dan, greeted us all by name (we will forever be amazed by the memory talents of cruise ship staff) and never forgot who we were. We ran into our assistant waiter, Leonard, on Castaway Cay during a lunch service, and he knew us all by name there too! In addition to the awesome service, the rotational dining provided for a new atmosphere and new experiences every night. At Animator’s Palate, we were seated at table 106, right in front of Crush. What an awesome dinner that was! We loved being able to interact with the characters on the screens, and they even had us interacting with the tables around us! At Enchanted Gardens, we were treated to a more relaxed atmosphere, with a really cool feel to it. Lindsay was burnt to a crisp that day (next time, she will definitely remember to apply more sunscreen) so the dimmed lighting and calming atmosphere was a nice way to unwind. On our final night, we loved the elegant touches offered at Royal Palace. Our table was situated in a corner, next to an ornate mirror decorated with subtle hints of Beauty and the Beast. 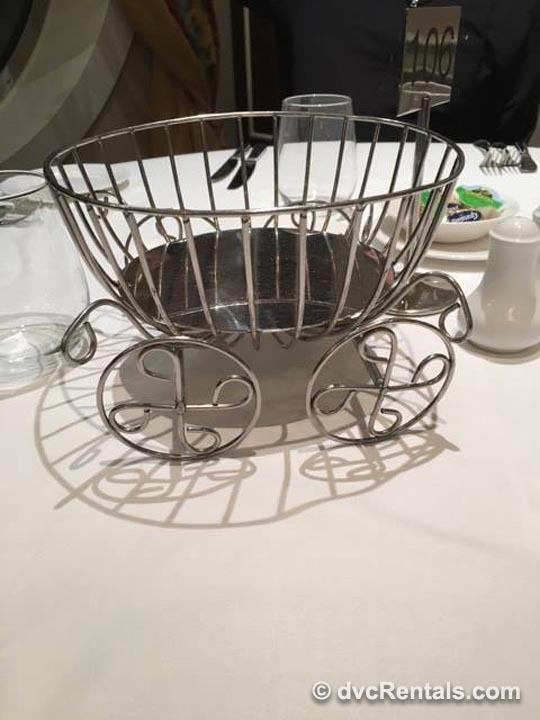 Our breadbasket was in the shape of Cinderella’s carriage. It was lovely. Along with the change in atmosphere every night came a change in menu offerings, which was great! There were many options such as steak, sea bass, salmon, pasta and chicken available. Of course, the traditional favorites are always offered, as well as a great kids menu, but the chance to branch out and try something new is certainly present. Desserts were delicious too, and always tempting enough to ensure that we each ordered something! Lemon icebox pie, pecan tarts, crème brulée, rice pudding and the ever-wonderful Mickey head ice cream bar were among the offerings. If we have one regret from this cruise, it would be that we didn’t finish off our last meal with that Mickey head ice cream! 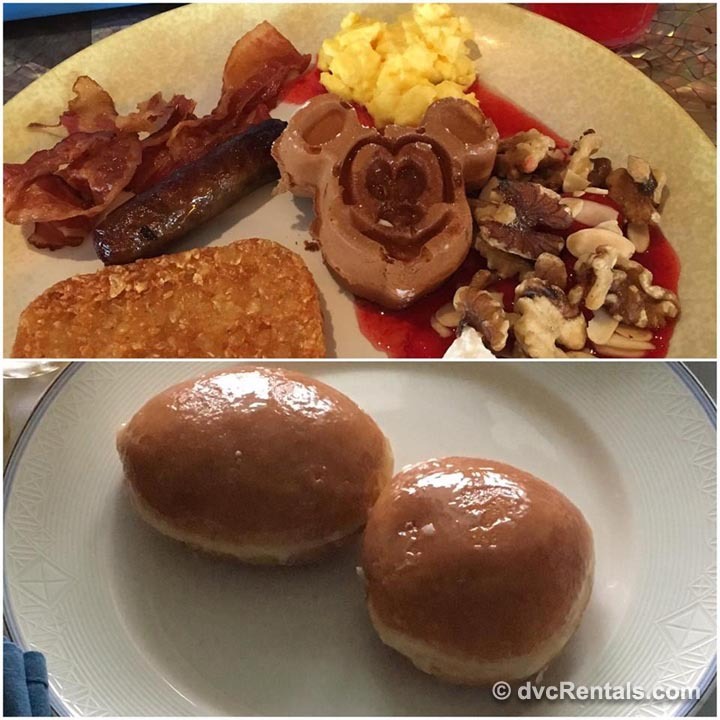 Lastly, we have to give an honorable mention to Cabanas breakfast buffet for their Mickey waffles and the best jelly donuts you’ll ever taste! Mmmm. Disney wouldn’t be Disney if it didn’t offer some amazing touches of magic throughout each cruise. From the minute we boarded the Cruise Coach at Orlando International Airport and headed for Port Canaveral, we knew that Disney Cruise Line was going to be an entirely different cruise experience than we had ever had before. The ride to the port really amped us up, starting us off with some video footage of the ship amenities and then Disney cartoons and trivia to finish it all off. The next thing we knew, we could see the Dream in the distance, just waiting for us to board. As we climbed the gangway and boarded the ship, Cast Members were there to announce us by name and clap for our arrival. That definitely got some pretty big grins out of the two of us! Once on board, we loved being able to spot all of the hidden Mickey’s woven into the décor and elegance of the ship. That was what brought the most magic to me throughout our sailing – being able to glance around at any turn and always be able to locate that trademark Disney charm. 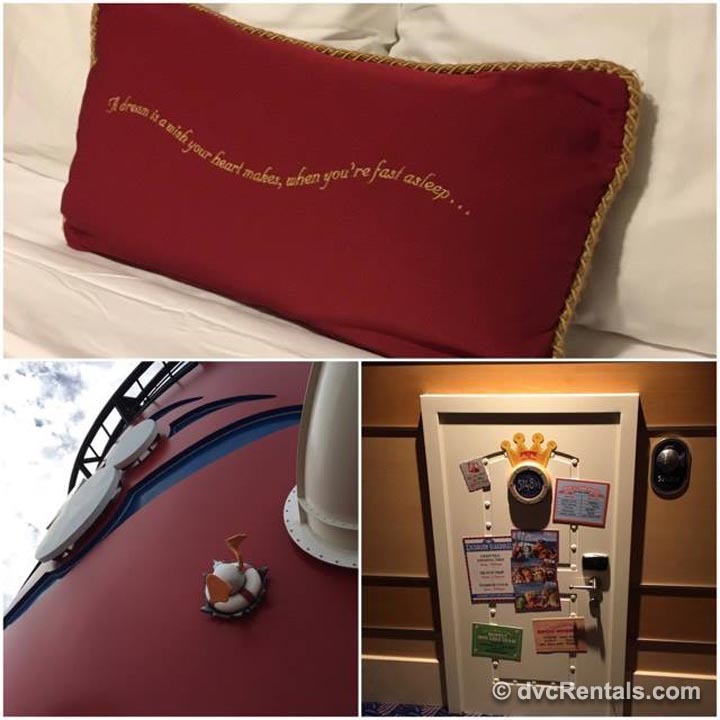 In our cabin, the stateroom attendant would flip the decorative pillows over to reveal the quote “A dream is a wish your heart makes, when you’re fast asleep…” during turndown service. When we visited guest services to ask some questions, we were given Disney Cruise Line buttons (Magical Moments, I’m Celebrating, and Happy Birthday were the options) similar to those available at the Disney Parks. Wearing these around got Lindsay a lot of happy birthday wishes from Cast Members (even though her birthday was a few days after we disembarked) which is always awesome! 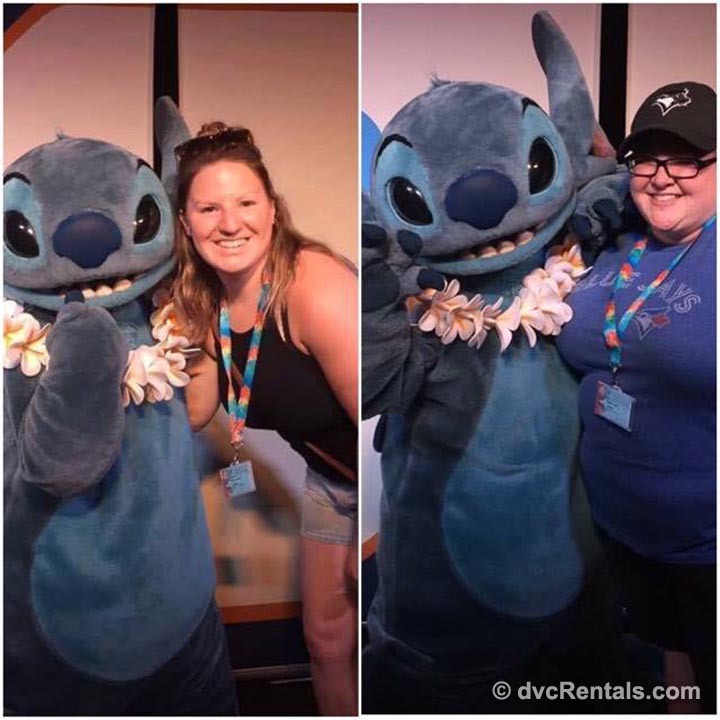 At any given time, there was always a character meet and greet happening somewhere throughout the ship (Stich was our favorite!) which you’ll never get anywhere other than Disney. On deck 5, kids and adults could visit the Midship Detective Agency and pick up the supplies needed to participate in a self-guided game that takes you around the whole ship in search of clues. The best part about this opportunity was that the ship was full of seemingly normal photos, hanging on the walls, that would then spring to life as you moved in front of them. We were mesmerized by all of the awesome moving pictures throughout the ship, and even though we didn’t have time to participate in the game, we were able to see the extra magic that happened when others would wave their detective badges in front of the photos in search of their next clue. Amazing. Throughout our exploring, we came across cabin 5148 ½ – very cute! After some research once back on land, it turns out this little mini stateroom belongs to Pepe the King Prawn from the Muppets – cool! Another favorite touch we came across were the Donald Duck legs stuck in one of the smoke stacks near the AquaDuck (which, as an aside, was an absolutely awesome time!). 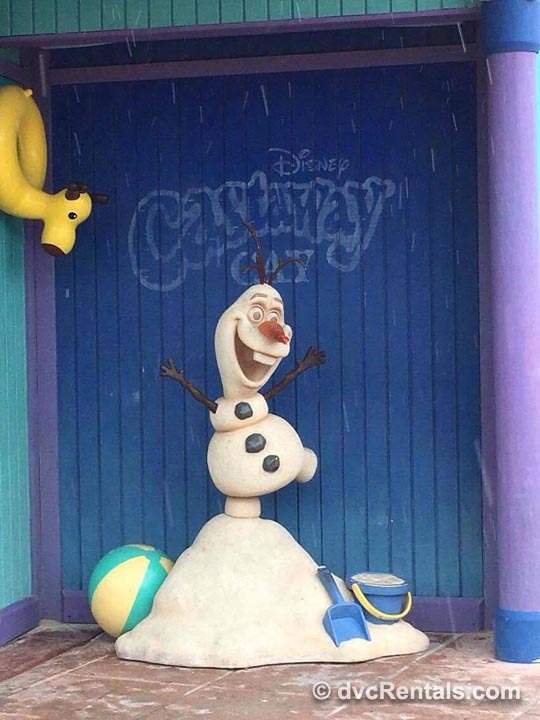 We didn’t notice this until day 3, so it goes to show that there are always more Disney touches to find around any corner. The smallest things made such a huge impact on this ship; that’s the Disney difference! Disney does deck parties unlike any other cruise line. We were overwhelmed by the participation; it felt like everyone was out of their staterooms and dancing the night away at the Pirate Party. So many people participated by dressing up in full pirate costumes, complete with eye patches, toy swords, big pirate boots and even some shoulder parrots! To make space for all of the dancing, one of the pools on deck 11 closed, and was covered to create more room for guests wanting to watch the show. Of course, the fireworks set off at the Pirate Party were breathtaking (even though Lindsay is scared to death of them, we were both in awe)! Experiencing fireworks on a cruise ship in the middle of the ocean is not something we will ever forget! There is something to be said for the energy at the Sailing Away party too. It was incredible to be a part of that atmosphere and hype, especially with the characters putting on a show as we pulled out of Port Canaveral. Once we set sail, we moved closer to the front of the ship and were lucky enough to spot a dolphin swimming alongside the Dream as we moved through the channel and into the open sea. That was a pretty magical end to an already awesome party! After a whirlwind 3 nights aboard the Disney Dream, we can definitely say that it was an unforgettable experience of a lifetime; Disney really does do it better! We can’t wait to keep on assisting families to create magical Disney memories by booking their Disney Cruise vacations back in the office. 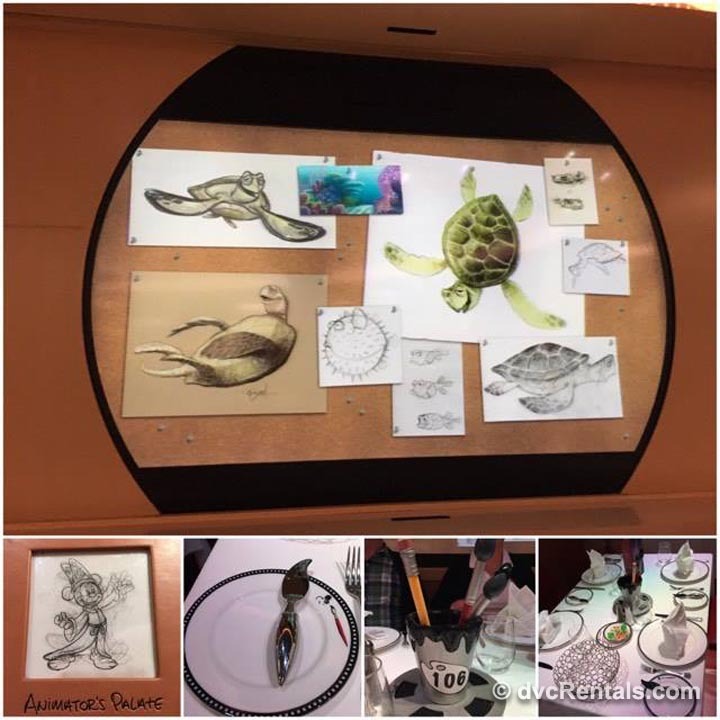 8 thoughts on "6 Reasons to Choose a Disney Cruise: Experiencing the Disney Difference Aboard the Disney Dream"
We have been on 2 DCL ships – Dream and Magic – we have also cruised with P&O, RCI and Carnival – DCL is THE best of them all.